Toyota FT-1 concept points to new Supra | What Car? The Toyota FT-1 coupe concept has been revealed at the Detroit motor show. The sports car concept has been inspired by Toyota's sports car history, including models such as the Supra, which ceased production in 2002.
it is a front-engined, rear-wheel-drive concept, with the concept's cockpit set towards the rear of the car to aid weight distribution. Inside, the FT-1 gets a Formula One-style steering wheel and a colour head-up display which projects information just above the wheel. Most of the main controls for the cabin are set on the steering wheel to aid ergonomics. Toyota also says it has pushed the windscreen pillars as far back as possible to aid visibility. 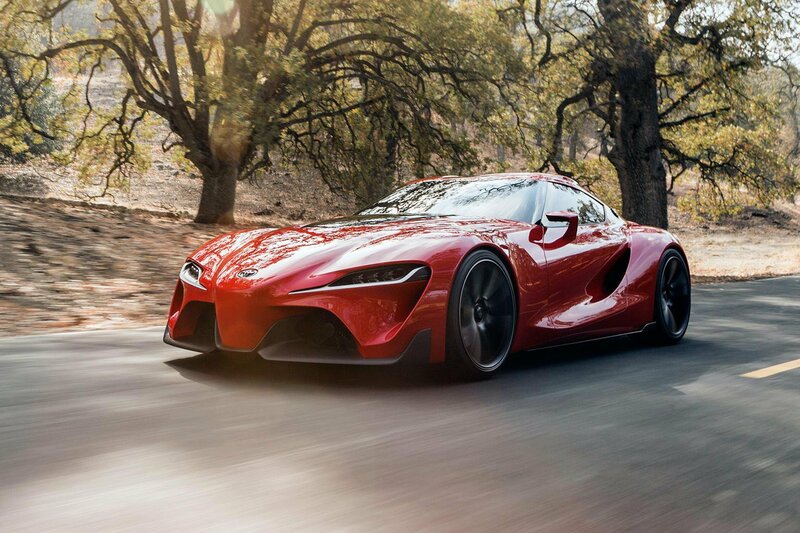 Although there is no confirmation on the production version of the FT-1, it is widely expected to be a forerunner to a modern version of the Supra. It would sit above the GT86 sports car in the company's line-up. The concept was designed by Toyota's California-based Calty studio.